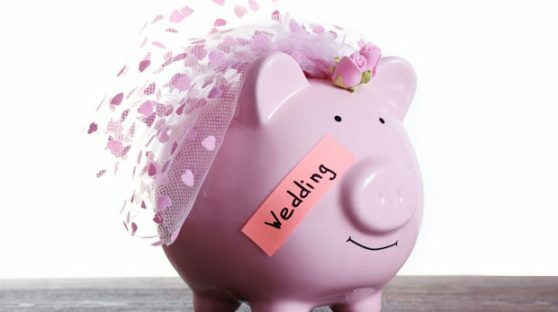 7 Surefire Ways to Save BIG MONEY on Your Wedding Day! Gee. Wouldn’t it be cool if all of us had a money tree in our front yard? That way, whenever we needed to make a big purchase, all we had to do is pull a few bills off of it? For better or for worse, this is the real world and here, we have to cover our expenses on our own—via a checking account, credit cards, etc.—and our wedding is not exempt. The tab on the average wedding? Reportedly it’s a whopping $35,000! Before you go into a minor panic attack while trying to figure out how to come up with that kind of money, first take a moment to read some of the best—and proven—ways to save money on your wedding day expenses. Most couples go with a weekend day (preferably Saturday) for their wedding because it’s convenient; especially for their guests. But if you want to save as much as 25-35 percent on venue costs, you might want to consider booking another day. Fridays and even Sundays are considerably cheaper. And if you decide to go with a week day (like maybe a holiday that falls during the week; one that gives your guests a day off), you’ll save even more! Wedding invitations are a traditional part of the wedding day planning process. But thanks to the upgrades in technology, paper ones aren’t the only route that you have to go. There are several apps that will show you how to create a digital invite that you can send online (for free). Or, if you want to send paper ones, you can easily save almost $1,000 by only putting one insert in your invitation; one that directs your guests to your wedding website for more information. There are “brand names” for caterers, florists and photographers just like there are with clothes and cosmetics. And with the name, there’s typically a higher price. Another thing that you can do to keep a few extra bucks in your pocket is look for newer talent—individuals who are good at what they do but are so focused on getting their name out that they’re willing to charge a little less in order to build up their professional resume. This is one of our favorite ways to save money! Instead of booking a floor of hotel rooms, consider renting out a vacation house too. It’s a wonderful—and economical—way for your family and friends to (re)connect in the days leading up to your wedding. Plus, if you pick one that’s large enough and is on a nice amount of picturesque land, you could save even more money by holding your rehearsal dinner, wedding and reception there too. You can easily spend thousands of dollars on fresh flowers alone. While professionally-arranged arrangements are absolutely beautiful, that doesn’t mean that with a little patience and innovation, you—along with the help of your bridal party— can’t put some bouquets and centerpieces together. If the thought of doing this slightly intimidates you, click here, here and here for some DIY inspiration. Something else that’s super-expensive? Sit down dinners. While they may be another wedding tradition, they’re actually not the biggest reception food trends these days. Go with something cheaper and a lot more fun like a host of different kinds of appetizers, a breakfast bar, catered fast food or (our personal favorite) renting a food truck. An open bar. It’s a cool concept. It’s also gonna break your wedding day budget. Our recommendation? Serve a glass of champagne for your guests to toast you to. Otherwise, as far as alcohol goes, create a signature drink—one that represents the union between you and yours. It’s classy. It’s affordable. And it’s a great conversation piece; one that you can easily afford on your wedding day!